Breeder of conformation AKC show champion lines Labrador Retriever and Shar-Pei in Canton (20 minutes from Atlanta), Georgia. We breed occasionally, with emphasis on health and temperament with correct conformation to produce a long term companion that can compete at all levels. Our puppies are not just cute puppies. They are backed up with excellent pedigrees, health clearances through OFA, and the most rigorous temperament testing. 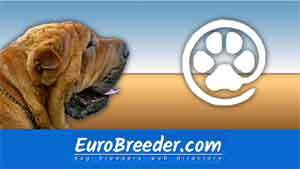 Find Shar Pei Breeders in Europe.